First of all a responsive website design is imperative in these times of iPhones and iPads. Most people browse the internet on a smartphone due to the fact that it is convenient. 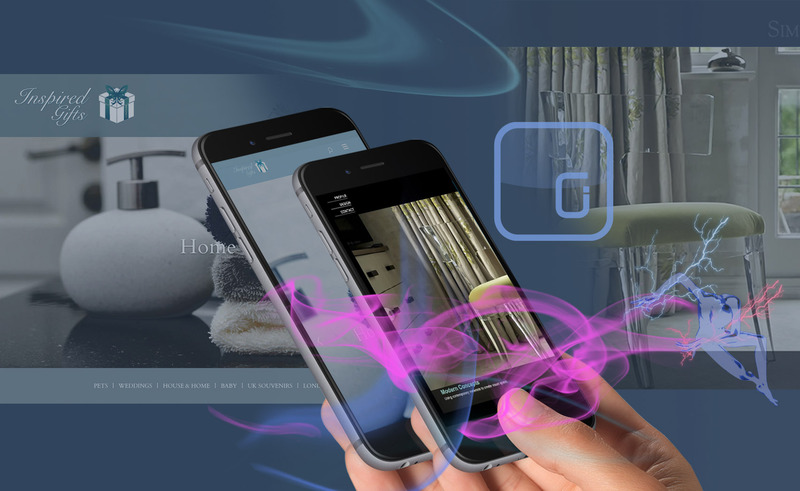 Your site should look great on any device. All our websites are responsive therefore they automatically rearrange themselves to look good on any size screen. Our website design portfolio and google search results speak for themselves and our websites are all fluid responsive. This means that our sites don’t just scale down but the layout actually re-shuffles itself on smaller screens. Therefore the site always looks incredible while losing none of its functionality. An online portfolio website can help you attract customers, and especially relevant, new work. Publishing your best work creates a valuable promotional tool. It’s a must-have to expand your professional opportunities. Whether you’re creating a website design portfolio or a graphic design portfolio similar principles apply. Always make sure your portfolio is readily available at any time because you never know who you will run into. Our agency is close to Hertfordshire, Leighton Buzzard, Luton, Bletchley and Milton Keynes business centres but we cover the whole of the UK. Online portfolios are very popular with a wide range of people including models, actors, singers and photographers. Not all portfolios look good and function the way they should. Ask us how to get an affordable professional portfolio website design like this one. Online shops are increasingly becoming a convenient way to buy products. There are a number of ways of setting up payment methods. Some are very expensive and this is why you should have a chat to us, before jumping in the deep end so to speak. In conclusion no matter what type of website design you require to represent your business, we have everything you need. Google SEO and ranking gives you that extra boost to get hits on your website. Let’s make things happen and get your web presence to a level that gets results. We offer a service that is affordable and very effective in getting your site to the highest it can possibly get on Google. This means that you will get a lot more traffic to your site and therefore more potential clients. We optimise every page on your site with its own target keyword. This means that you will get ranked on Google for many different searches. Boost your social media presence with SEO links from your site and watch your web traffic spike. We have the SEO tools to know exactly how effective your page titles and page descriptions must be to get results on google. In conclusion, if your website design is not up to scratch and you feel the time is right to do it well, get in touch. Its a lot easier than you think and we can even help you with editing down your information if needed. We will guide you through each step and make it fun because life is too short to stress. A great website design is just a call away. If you need SEO google ranking, get in touch because we cover Bedfordshire, Hertfordshire and the whole of the UK. Our areas include Milton Keynes, Bletchley, Leighton Buzzard, Northampton, Aylesbury, Welwyn Garden City, Luton and also Watford.